Dino Supersaurus Build and Play book gets you started in step by step instructions on how to build your 3D Supersaurs along with the Sinistaurs. The Dino Supersaurus Build and Play has 2 sets of dinosaurs the good ones Supersaurus and the bad dinosaurs Sinistaurs. The Dino Supersaurus Build and Play lets more then one child interact while being read to. 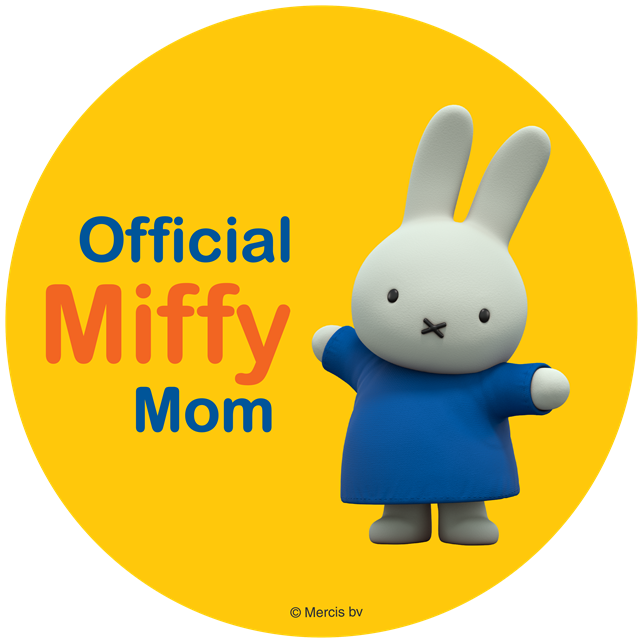 The activity book also has along with instructions, activities, scribbling and cool coloring. It is truly more than a book its a adventure! 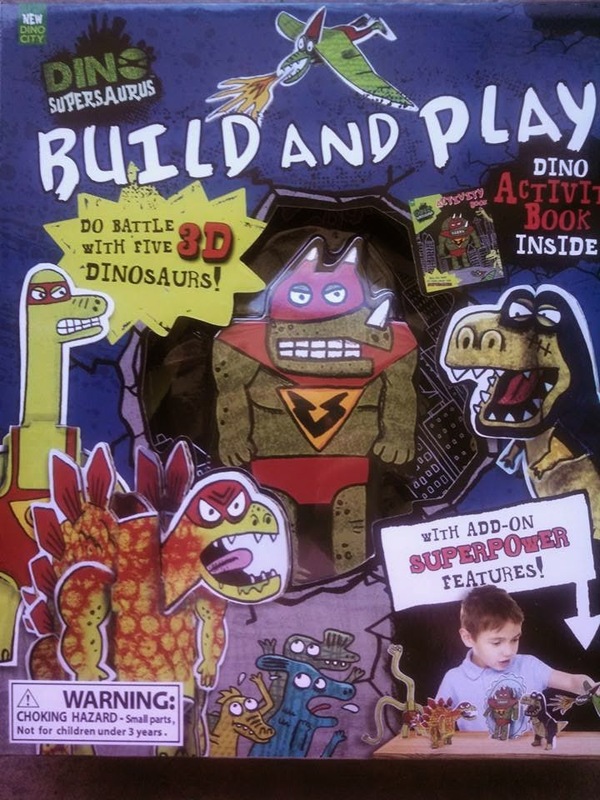 You can purchase the Dino Supersaurus Build and Play activity book on Amazon. Kaboom! T-rex and the evil Sinistaurs are on a mission to destroy New Dino City...again! 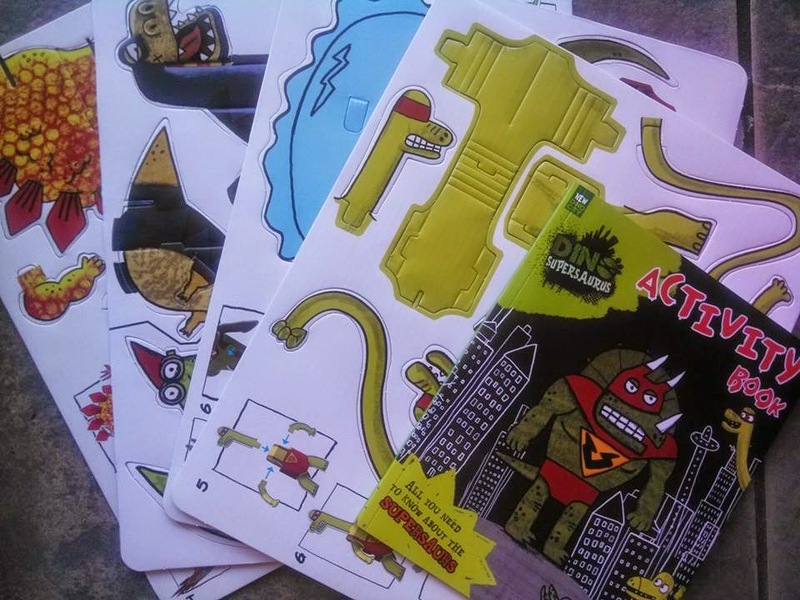 Get busy building your heroic 3D Supersaurs and help them save the day! 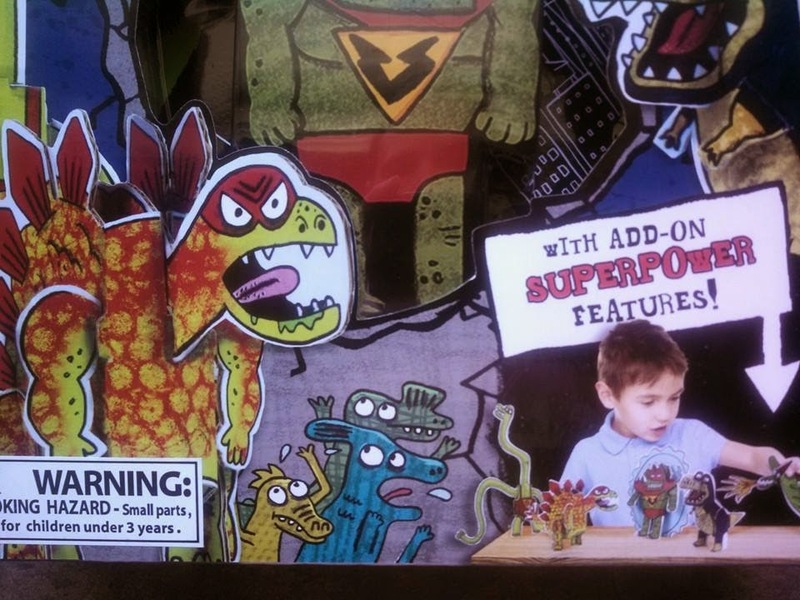 Charge your dinos up with superpower add-ons. Your activity book has simple step-by-step instructions and is packed with awesome activities, supercharged scribbling and cool coloring. So get ready to take on the evil Sinistaurs and save New Dino City!